Not quit long Nigerian social media sphere is still recovering from the public show of affection from Chioma and Davido, celebrity love birds, Now it is Kizz Daniel and Chidinma, were seen publicly teasing each other on Instagram. The superstar songstress recently took to her social media page with a post that celebrated the latest achievement in her life. She had posted the photo of a door entrance that led into a main house. To allay speculations, the singer went ahead to reveal through the caption of the photo that she was now a proud home owner. She had used a set of hashtags to glorify God for what he had done in her life. Among some of the fans spotted commenting on the post was sensational singer, Kizz Daniel. He responded with a question in which he had asked if they did not have plans for the night. 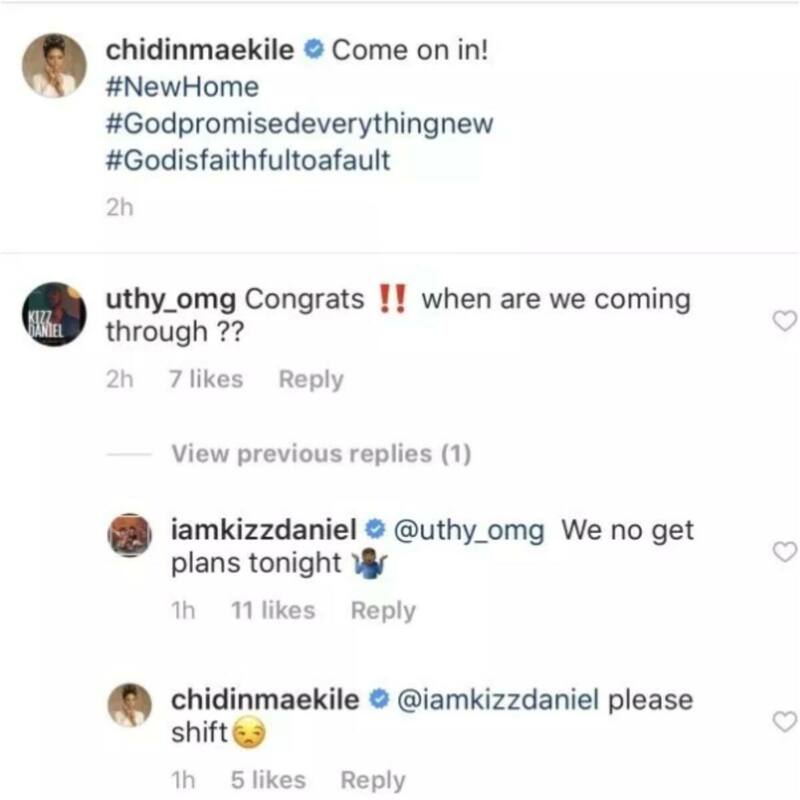 He accompanied his caption with a smiley that suggested that he was caught off guard by Chidinma inviting people in, when they had probably planned earlier on, to do something else. Chidinma in turn responded to the singer’s question. She told him to shift. See screenshot of the exchange between the two below.